If you’re planning to take up an adventure trip on your next vacation, you probably be looking for some exotic and exciting adventure travel ideas. Look no further! In this excerpt, we’ve got for you 5 incredible and astounding adventure tour ideas from six different countries. If you’re looking for an amazing ski experience on your tour, this is the perfect place to be. The Haute Route Ski Tour is one of the most famous ski tours in the Alps. It is a must trip for those who are totally committed and dedicated to their passion for ski. It features legendary high alpine, linking two historic alpine centers, Chamonix and Zermatt.Carefully selected routes allow you to enjoy the pleasure of fabulous scenic beauty and high points of the Verbier variation. 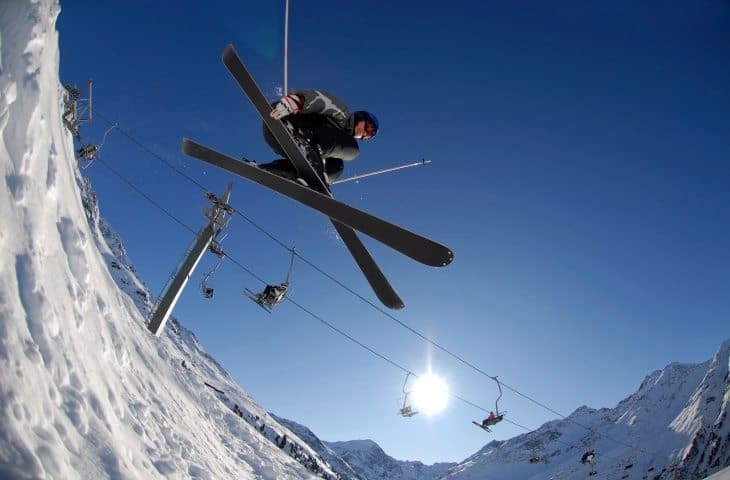 Most skiers take approximately a week to complete the entire 140km route, crossing beautiful views of glaciers and Alps’ highest and finest peaks. It would be more than just a leisure trip as it gives you the opportunity to explore the most challenging terrains and climb along the route, stretching more than 10,000m. Adventures aren’t just for adults: If you’re kids love adventure too, send them to one of the most fun adventure camps. The Icefields Parkway, stretching 230 kms extends from Jasper National Park to Lake Louise. It is one of the world’s most stunning rides on beautiful scenic roads. It is also known as the great mountain biking tours. Apparently, an impatient biker can complete the tour in just two days. But if you’re looking for a laid back trip, you may even take four to five days to complete it. As you cycle, you will pass through beautiful soaring mountains and crystal clear lakes. Expect to see lakes, different varieties of mammals and mountains on your trip. You can hire bicycles and gears at affordable rates and get going on your trip. If you’re a true adventurer, this is something you shouldn’t miss in your lifetime. This is one of the most popular bungee jumping spots in the world. Since it is located on the Ticino dam, it is also known as the Golden Eye Jump. It is the world’s highest commercial bungee jump, a leap of 220m. You can choose to jump off the dam in any position or posture you like. Try out the classic swan dive or leap backwards, as per your desire and experience the 7 and 1/2-second fall that will take you to another world altogether. Jumps are conducted between April and October. Moab was once just a decaying mining town, but today it has become one of the best places to consider for adventure seeking tourists. Moab is also known as the mother of all mountain biking destinations. Slickrock Bike Trail and Klondike Bluff, arguably are the most famous mountain-biking route in the world. Porcupine rim is the second most famous ride in Moab. However, since the town is located in the mid of Utah Desert, the temperature in the afternoon may not be suitable for all. Thus, it is advised to start the ride early morning and end before noon. Have you ever fantasized about a beach that is more about cams, but tans? Krabi is the place to be if beaches for you are not just about thongs and glasses of beer. The monumental limestone rocks in Krabi attract thousands of climbers every year from round the world to scale their heights. This city is blessed with spectacular karst formations, which makes it one of the world’s greatest climbing destinations. If you’re serious about scaling a limestone cliff, you must head for Railay. The peninsula’s steep, pocketed Limestone Mountains offer all sorts of climbing adventures, including good overhangs. Whether you’re looking for an adventurous day or more serious involvement, Krabi is the best you can do on your adventure tour. You need not be skilled to do this task. Just a simple three-day course will give you the confidence to attempt most difficult multi-pitch climbing. The activity is suitable for all ages and gender, including children. So whether you’re planning a trip alone, or with your family and friends, these adventure tours are suitable for everyone. Each and every member of your group will enjoy these activities to utmost satisfaction.